Use it to replace the url that you used on your post where you thought you made the pingback link, right now you are linking to just the main page (lindahill.com) instead of this page’s url. You need to use the url for that is for the prompt reminder, and it changes each week. Yep, it worked. 🙂 Thanks for joining in! I love this prompt, and that you are mixing things up for us. I would have liked to have been a bit more whimsical with mine, but typing fingers did what they did. 🙂 As they do. LOL – thanks for the challenging prompt! I enjoyed calling you out on your creative mind. Happy Saturday to you! Pingback: Junk Mail, Acceptance, and Electricity | Anything is Possible! 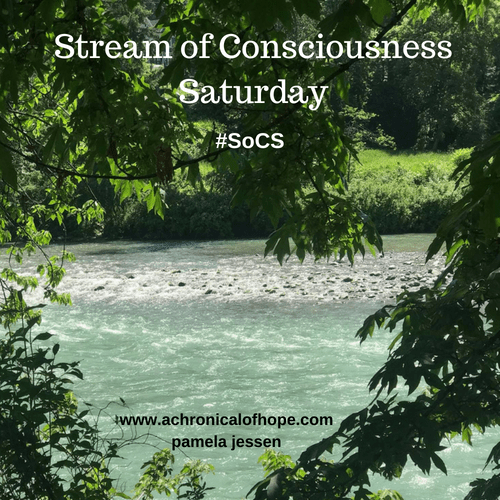 Pingback: SoCS for Saturday March 23, 2019 | Tessa Can Do It! Positivity is Catching! Oooh, this is a bit tough, Linda. Congrats! Being up for an award even better several is huge. I look forward to reading it. Have a great day. How many of us actually post on Saturday? I have always done on Friday. Me bad? Good prompt this week.